If there is one thing us writers should be proud about, it’s our way with words. Writing is considered a skill that is developed naturally, especially in the flow of words that ultimately stitch a complete story together. However, there may come times when you will find yourself lost for words and unable to string that perfect sentence together; That’s when some of our oldest friends – the best online dictionaries, come to our rescue. Dictionaries have taken up a new, super-updated form in the world of the Internet, and there are a lot of them, each with their own unique features and offerings. 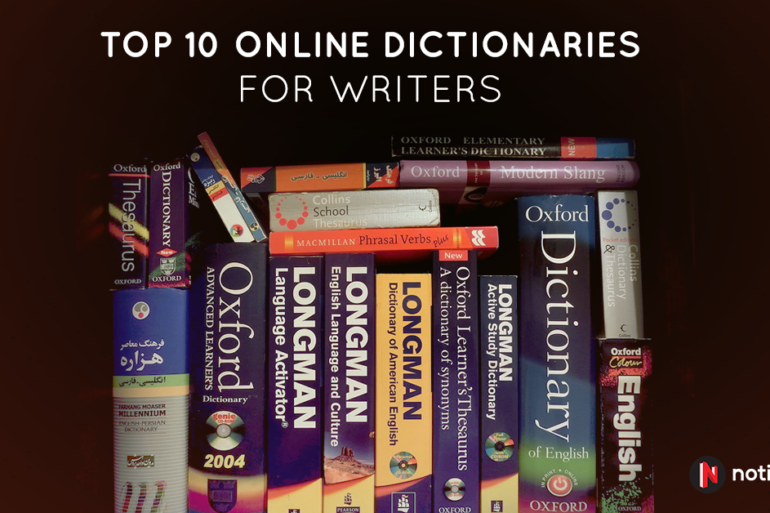 Here’s our list of the top 10 online dictionaries every writer must bookmark on their homepage. Grammarly is a free/paid online editing tool that also doubles up as a grammar dictionary as its name suggests. 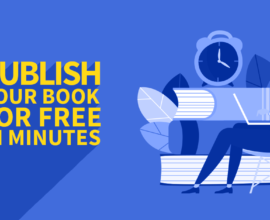 While the free version lets you quickly check on grammar issues and rephrase incorrect sentence structures, the paid version enhances all those features across every online word document you are writing on, be it emails, blog post or social media posts. Grammarly can correct over 250 types of typos and sentence errors. Grammarly is best used by writers who spend a majority of their time writing online. So, if you have a big collection of blog posts, make sure to run it past Grammarly for the best possible written outcome. Pretty much understood by its name, Google Translate is the sort of dictionary you have to keep open at all times when you need a quick translation for a word you discovered which is in a different language. Google has made a dedicated app for the dictionary that lets you translate words and sentences on the go, if you are the kind of writer who loves to travel for inspiration. Nifty features include translating languages from any other app or texts, speech translation and text-in-image translation. Let’s say you are writing for a localised audience; it is well known that putting in colloquial terms and writing how your readers speak works best for a more personal connection. If you need help translating an English word to their local tongue, Google Translate is the best dictionary to use. The Free Dictionary can easily become your one-stop source for all things wordy. It is one of the most extensively designed online dictionaries available today. Loaded with various word search options like a thesaurus, foreign languages, Wikipedia searches, synonyms, acronyms, idioms and phrases, The Free Dictionary even keeps you occupied with cool word builder games and real-time word searches. If you wish to use this dictionary to its full extent, you can log in to the website via your email or social media account. Once logged in, you can customise your home page by adding and removing content to suit your convenience and writing style. Thesaurus is an extension of dictionary.com- one of the most professional dictionaries available online. Thesaurus has a very cleanly design User Interface that presents all the possible synonyms, antonyms and relatable words for every word in the English language. You even get a quick Did-You-Know corner that details the origin of the word. Thesaurus is best used when you find yourself repeating the same word over and over again in a sequence of paragraphs. The dictionary even has a dedicated blog section for you to read, interact and learn more about the wonders of the English language. Wordnik is not just another very extensive online dictionary; it is also a non-profit organisation that is constantly updating and refreshing with new words in the English language. Wordnik provides multiple definitions and meaning for every word; each definition is taken from various other credible sources like news articles and renowned word wizards. Each definition is also ranked based on how useful and accurate it is. You also get to see and hear visual and audio definitions for every word. When you log into Wordnik, you become part of their expansive community, giving you access to forums, newsletters and a Wordnik profile page where all your favourite content can be stored. Urban Dictionary is not your average dictionary; it is rather one of the quirkiest and unusual dictionaries on the internet. Sometimes ridiculous, other times outright offensive, the Urban Dictionary has definitions for all sorts of pun words and slangs. The dictionary is open to all and even lets users vote whether a particular user-generated word should be registered. Urban Dictionary even has a dedicated online store, where you can purchase everyday items and imprint funny words and their definitions. Urban Dictionary is best used if you are writing fiction or humour novel. Every definition of every word is also given a sentence example, which, on immediate glance, will make you burst out laughing. You’re a poet, don’t you know it? Well, if you aren’t, Rhymezone will transform you into one. What started off as a basic dictionary of rhyming words has now morphed into a full-fledged dictionary of words, phrases, meanings, sentences and spellchecks. Rhymezone still stays true to its core offering of rhyming and near rhyming words- all you have to do is type in a word, and the website will generate hundreds of words that rhyme (in bold letters). You will also get example sentences of the rhymes used in actual poems and phrases. If you are writing a children book or a poem, make sure to keep this dictionary open and active at all times. If you have never heard of the phrase, “Merriam-Webster defines”, you probably have never dabbled in the literary arts. The Merriam-Webster dictionary is one of the oldest and most trusted dictionaries in the America, and now has one of the largest online communities. The dictionary not only serves as a place to learn new words, but also a place to get inspired by writing. We recommend using the Merriam-Webster online dictionary if you are a novice writer and are keen on getting some words of wisdom before you start off with your novel. Sentences and words tend to get rehashed and broken down over time and such is true during the SMS age when words needed to be shorter to fit the character limit. The internet has taken this to an entirely new level with words getting twisted around and newer jargons being made every other day. To keep up with the ever-evolving wordiness of the Internet, Netlingo is the best dictionary to use. Everything from Internet jargon to newly released online-specific words is updated every day. Are you spending most of your time blogging or writing social media posts? Subscribe to Netlingo to stay on track with the Internet’s wordiness. BrainyQuote compiles thousands of quotes and lists them in a well-structured layout based on author and topic. You even get a quote of the day section as well as space for you to enter your own quote. Quotes are constantly being updated as more interesting things are said, and are there for you to use as you wish. 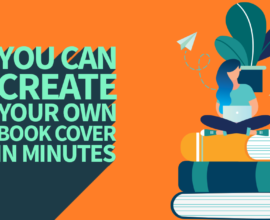 Whether you need a quote to inspire yourself to write or are looking for interesting quotes that can be included in your book or blog post, BrainyQuote is the place to go. If you want to improve your writing standards, make it a habit of referring these dictionaries on a daily basis. 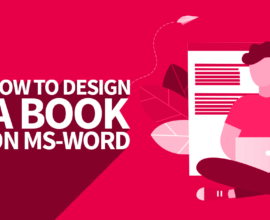 To write the perfect book, you can’t simply stop at generating great words. 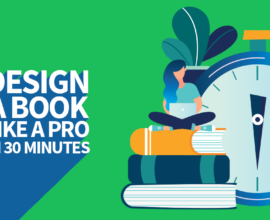 You still need great design resources, good editing knowledge and most of all, a trustworthy self-publishing house to help you get things going.